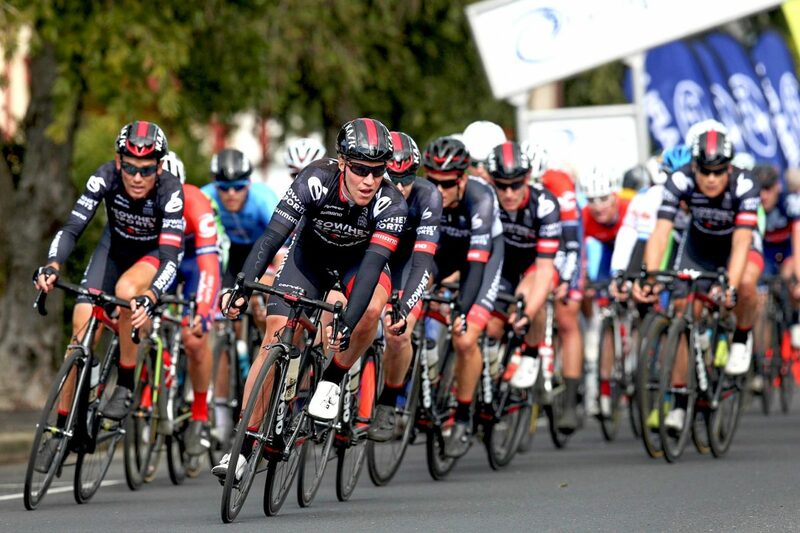 The National Road Series continues to be a hot topic. In fact, it was the compelling factor in bringing Tommy Nankervis (Ex National Road Series and International cyclist) back for a second podcast in as many weeks. We received a lot of feedback from listeners about their intrigue into Tommy’s views and wisdom on local racing and the opportunities for improvement. In this show Lee ‘Hollywood’ Turner in back interviewing Tommy Nankervis by popular demand. Given both Tommy and Lee participated in the recent Melbourne to Warrnambool (‘Warny’) road race on the weekend, they start the conversation with reflections on Tommy’s 3rd place in Australia’s oldest race. Following the Warny overview, the conversation pivots into the National Road Series. 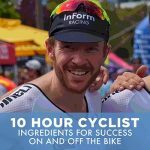 Tommy’s experience racing at national level in Australia and overseas empowers him with a well-rounded opinion on not only the gaps, but ultimately the opportunities for improvement. Tommy and Lee start the discussion talking about the recent Melbourne to Warrnambool road race. Tommy finished 3rd in an unusual bunch sprint. Tommy discusses the previous Warnys he’s participated in, including when he was representing teams, such as Budget Forklifts. Tommy’s had many top 10 finishes in the past and walks Lee through some of those races. Intimately understanding the race conditions of the Warny, Tommy aligns his personal cycling attributes to the requirements of the race. On a good day – and with luck on his side – he feels it’s a race he can one day win. Tommy describes a feeling or sensation he gets before things happen in a race, such as the Warny, pinpointing an instance two years prior where there was a massive cross-wind blowing and Tommy felt a crash coming. He moved out onto the road, away from the gutter, helping two teammates (and himself) avoid a crash and injury. Tommy talks about Nathan Elliott, the Warny winner, and the incredible tank he has. He was in the break all day and then multiple attacks following the major break was pulled in. Lee asks Tommy about backing up the Warny with a win at the Glenvale criteriums on Sunday. Tommy talks about the legs being tired but the body feeling ‘opened up’ and in good condition for the crits following the Warny. Tommy’s won 4 on the trot when backing up the Warny with an A Grade criterium the very next day. Lee and Tommy discuss the bunch sprint accident that occurred at the end of the Warny. While unsure of the cause, Tommy makes a point that riders participating in sprints should be experienced and conditioned for a sprint. This ultimately helps to mitigate accidents. Lee asks Tommy if Cycling Australia should consider any lessons from the success of the Warny for greater NRS participation, sponsorship, and public attention. Tommy says it’s hard to make that comparison given the history of the Warny. Tommy then goes on to discuss the logistics of feeding riders during the Warny, as it’s a challenging situation given many riders are unfamiliar with this hectic environment. Tommy and Lee then talk about the ‘feed bag’ stations and inexperienced riders going through there i.e. using plastic shopping bags as their feed bag and the probably of crashes. Lee talks about the women’s race, only having one finisher from 8 starters at the Warny. Tommy responds with it being a hard topic to comment on. Lee talks about the numbers in women’s cycling lacking across the board, outlining some options that could see greater participation numbers in the future. The conversion then pivots to the National Road Series, with Lee questioning Tommy about any synergies between the racing he saw in Europe and the United States with Australia. Tommy discusses racing in Europe and the US but also emphasises some of the great racing that is going on in Asian countries at the moment. Their crowd numbers are large, the sponsorship dollars are strong, and they’re enticing international riders from across the board. The biggest loss in the NRS in recent time has been John Craven, Tommy explains. John focused predominately on circuit races and crits. The upside to that is less logistics for riders and more opportunities for developing riders to “throw their hands in the air”. Tommy then goes on to explain that most of the NRS races in today’s format have a time trial at the start, or early on in the piece. If you’re a participant in the race, firstly you need to own a time trial bike and then if you’re going to be on a level playing field with the top teams, access to wind tunnel training and all the best parts and accessories. What happens is the top time trial riders in the best teams take the lead through the time trial, and then they sit on the front of the bunch for the rest of the tour. Once the best NRS teams position themselves well in a time trial they will sit on the front and control a race. OK at a professional level, but is this the right format for local Aussie racing? Tommy talks about the sport being expensive and Lee agrees, the CA membership is ludicrous – Lee would like a breakdown of where the $377 is going because it’s not visible how it’s being invested back into road cycling. Lee says it’s “mirrors” i.e. Cycling Australia are always looking into all aspects of cycling but nothing is being done. Lee compares what Cycling Australia have done with their appointment of Nick Green to Australian Rules Football, emphasising that an elite athlete background doesn’t necessarily carry over to elite administration. Tommy talks about the amount of people now riding bikes however where’s the pathway to take out a CA license for the general day to day rider? There appears to be no enticing way to get more of the cycling community actively involved in Australia’s cycling federation. Lee talks about the big carnival atmosphere at the fondo events that have become so popular in recent times. Tommy talks about his ‘biggest, biggest thing with cycling’. When he was younger There was no power metre and all this current day focus on “data”. When he rode track, there would be a lap counter and he would know the distance of the track. It was predominately focused on tactics and saving energy. This older style of training mentality taught Tommy how to hurt and think at the same time, ultimately teaching him how to win a bike race. What’s happened now is that we’ve moved away from “racers” to “lab rats”, focused on time trials and power-to-weight ratio. Tommy talks about the older style riders “throwing their arms in the air” and how that used to keep young talent in the sport. Now with time trials and teams nullifying races, it’s destroyed that throw your arms in the air culture that once provoked more participation. A power-to-weight rider will be discovered no matter what, Tommy goes onto to say. Cycling Australia don’t have to focus on that. Where’s the instinctual talent gone and how are we looking for that? Tommy talks about Mark Cavendish and the power-to-weight philosophy. Mark Cavendish was quoted when asked about his power to weight “is there a white line to sprint to?” Knowing where to find the finish line has been lost somewhere along the way. Lee asks Tommy about the equivalent racing series internationally and some of the tools they use to entice more riders to race. Tommy talks about Belgium being the best place to race in the world. Belgium thrives on Kermesse racing. A town puts on a race and it’s all about the community putting on an event for the cyclists coming to town. Lee then talks about trying to get permits in the local/country areas of Australia, with the traffic control alone meaning organisers have to throw a few thousand dollars down the drain before they even get started. Lee talks about some people who have recently gone into Cycling Australia that have a great skillset to help improve the state of the NRS. Tommy says the best thing Cycling Australia can do is get rid of time based racing and make it a points-driven omnium system. If you’re the best time trialist in the country it doesn’t mean you’ll dominate these long point to point races with a team controlling everything that goes on. 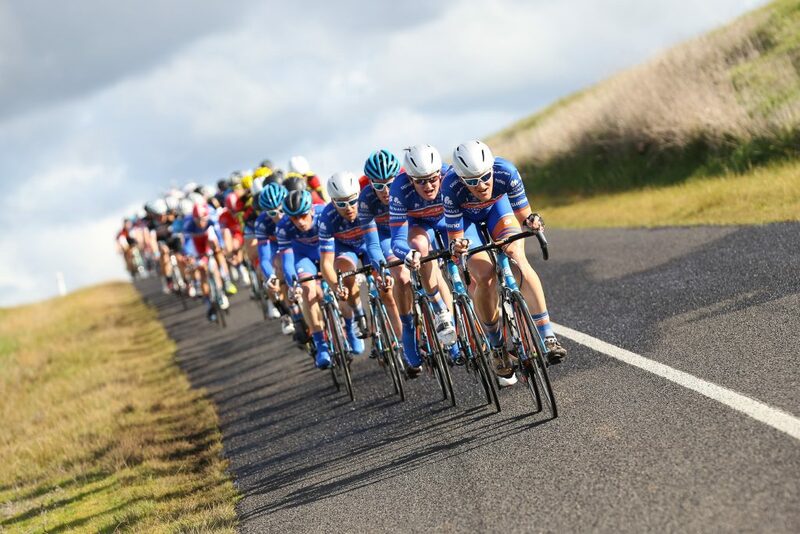 The people calling the shots at the top of the Cycling Australia tree – do they really know the intricacies of bike racing? We need to bring back that “crossing the line first” and race tactics. That’s what cycling is all about. Lee asks if cycling has become more of a social media/lifestyle sport, not pointing the finger at himself of course. Tommy talks about leveraging the mass fondo events for the NRS. Roads are already closed and there are lots of people there to create a great atmosphere. Concluding, Lee asks Tommy if he thinks there shouldn’t be a series. Tommy doesn’t think so. He believes the one-day racing system that he’s seen in Belgium should be worth looking deeper into. Lee asks Tommy to summarise the key actions Cycling Australia could explore. His key points in rank: (1) Omnium racing (2) Circuit racing (3) Limit the length of the races to perhaps being 3-4 days spilling over a weekend period. This would allow for more participation across the board and more agility in blending in other cycling events in the town while the NRS races are occurring. Lots of great points. Young riders need this of level of racing for development and experience. However one day racing would limit a lot of riders to state level racing – it is too expensive to be travelling interstate for a one day race. Works in Belgium given a considerably smaller country.